Chartered Accountants based in Epsom, Surrey offering a one-stop shop for all your accounting needs. We are a Certified Xero Champion – on hand to assist with all your MTD needs. We provide a wide range of accounting services – click services menu at the top to see the full range. A key aspect of business is having up to date management information. We will assist in the preparation of these crucial reports which enable management to make timely decisions. We produce monthly and quarterly management accounts for clients which show timely information to you, so you are aware of issues quickly and act. Delaying action is frequently the cause for failure of a business. The management accounts also enable you to better understand your business and drive efficiencies to improve profitability. Key Performance Indicators (KPI’s) soon become crucial to running the business enabling the business to focus on looking forward rather than looking backward. We deal with several property sector clients and fully understand your needs and specific requirements. We fully understand the interaction of property taxes of ensure property tax liabilities are minimised (and refunds maximised). This sector is becoming increasing complex with increased rules in relation to VAT, CIS etc. These rules are arduous and challenging and we aim to ensure you are not going to trip yourself up as new rules come in. Whether it is a construction company, developer or a property investor we are there to assist you in your thinking and add value to your business. 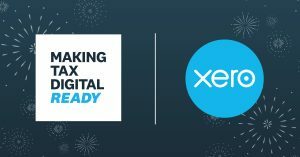 We are MTD ready Xero Champions, so whether you are a sole trader looking to embrace Cloud technology or an OMB that is looking to streamline your accounting function were are able to best advise how to implement Xero to suit your needs. No two businesses are the same so we invest in understanding your systems and day-to-day activity so that any integration is as seamless as possible. Get in touch to discuss cloud-based software and how it could help your business by using the contact section above.